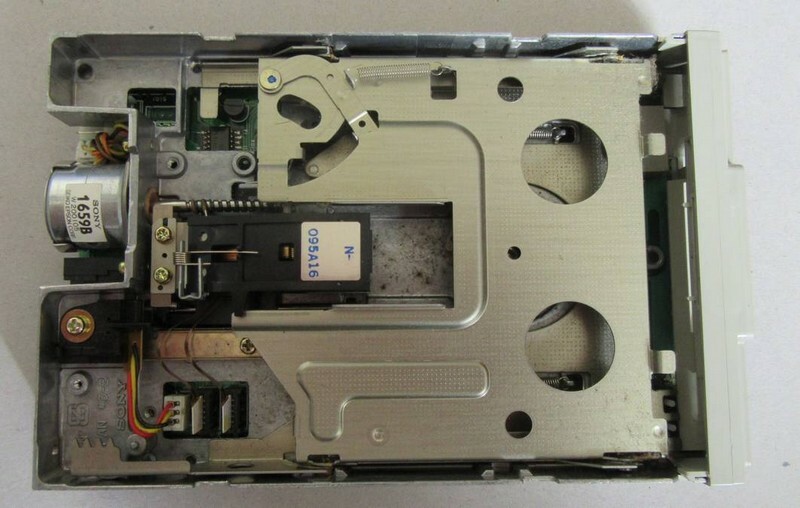 Like most other floppy drives, they are a billion years old now and need some servicing. 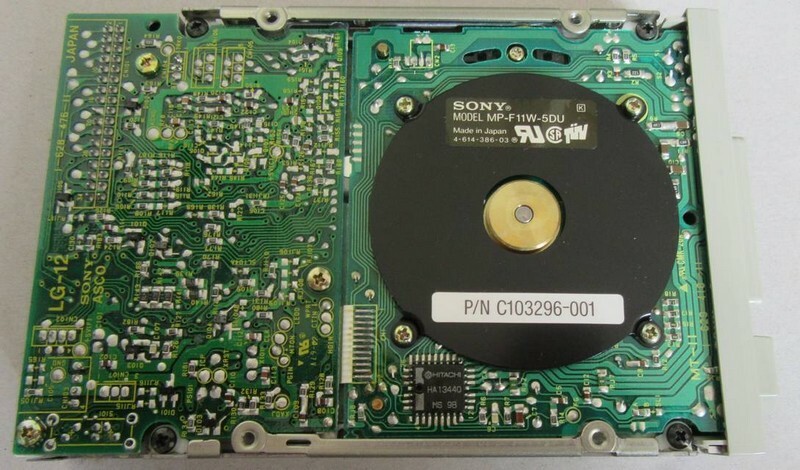 So this is the "how to" guide to clean up and possibly fix bad MPF11W drives. First of all remove the metal top cover. It will need a small screwdriver to unclip it at the back of the drive. The metal cover will then pull up and out. IPA should be used to clean the head with. If you have a bottle then soak the cotton bud head and clean the heads. If not, IPA wipes are easy to find and work just as well. Gently wipe all over the heads, moving the IPA cloth to clean them. Clean all the dust and muck from what you can physically get at inside. 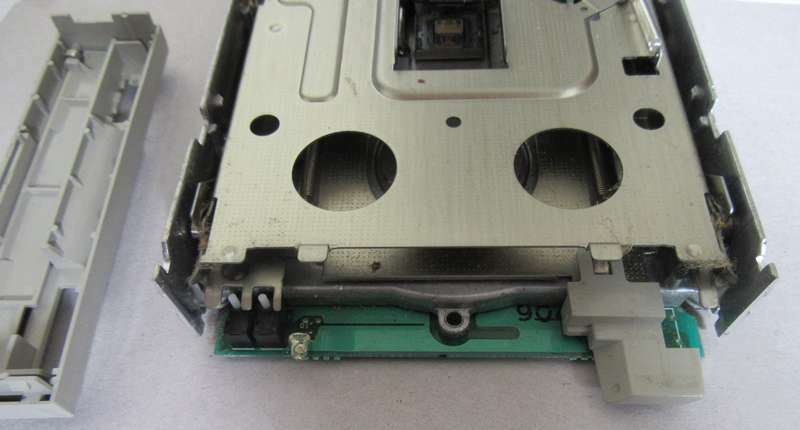 Be careful not to bend or damage any springs or parts inside! Pull up and unclip the front plastic bezel and clean the front areas also. Stand the drive on its back and drop a small drop of general purpose oil on the motor shaft where it exists the actual motor. You can also oil the work gear if needs be. 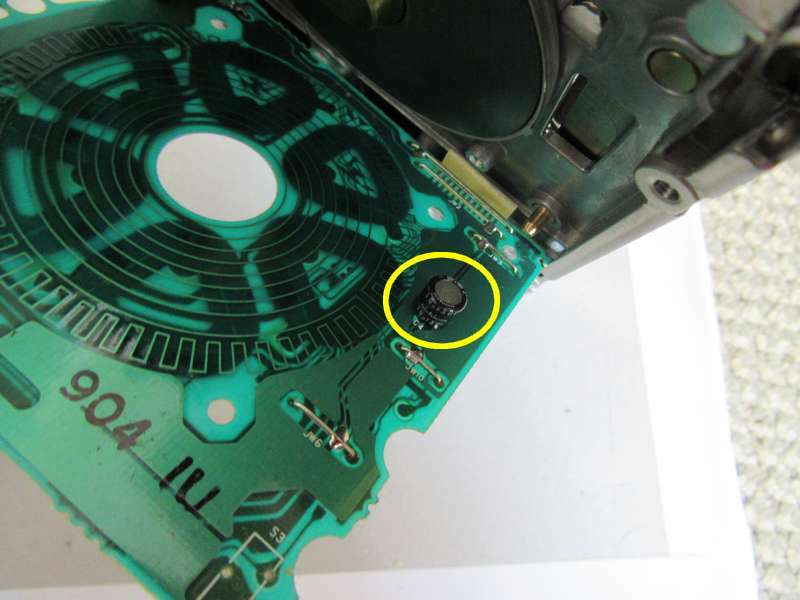 This is where I removed the floppy motor and PCB to show the motor run capacitor on the underside of the PCB. You do not need to do this, I just took the image to illustrate the capacitor. 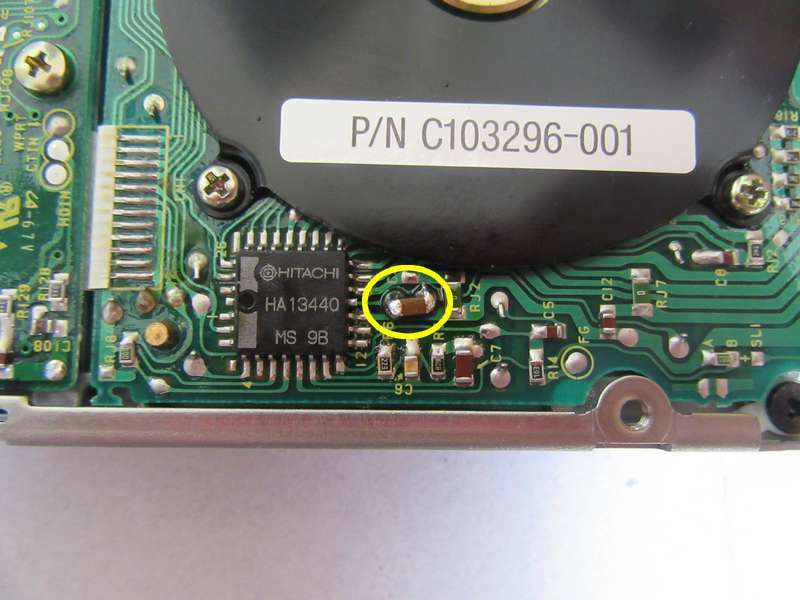 What we do next is solder a 16V 1206 10uF SMT capacitor across that electrolytic as shown in the image above. 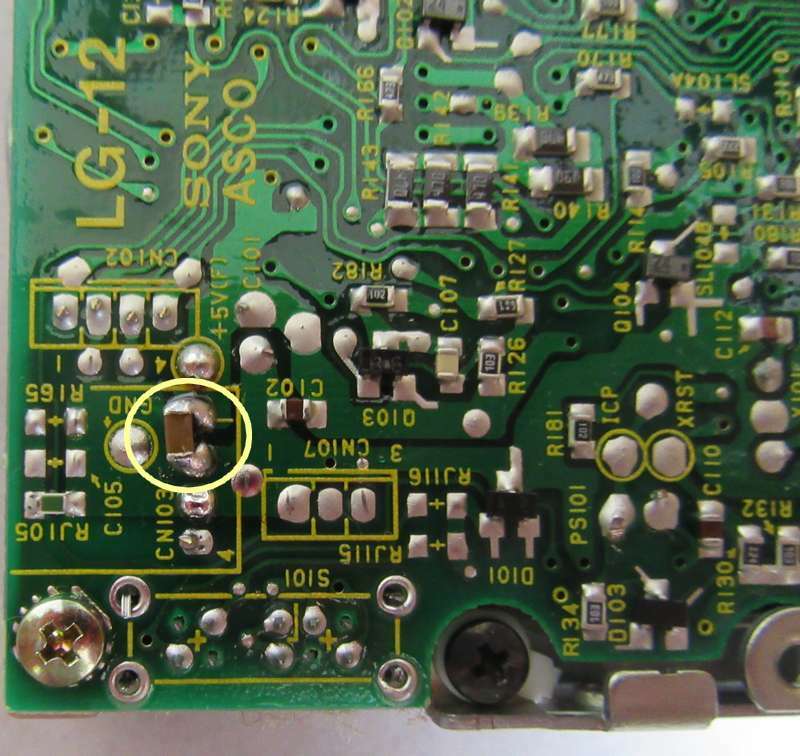 But we solder on the back of the PCB so no need to unscrew it. Solder a 16V 1206 10uF SMT capacitor across the 5V input pins as shown. 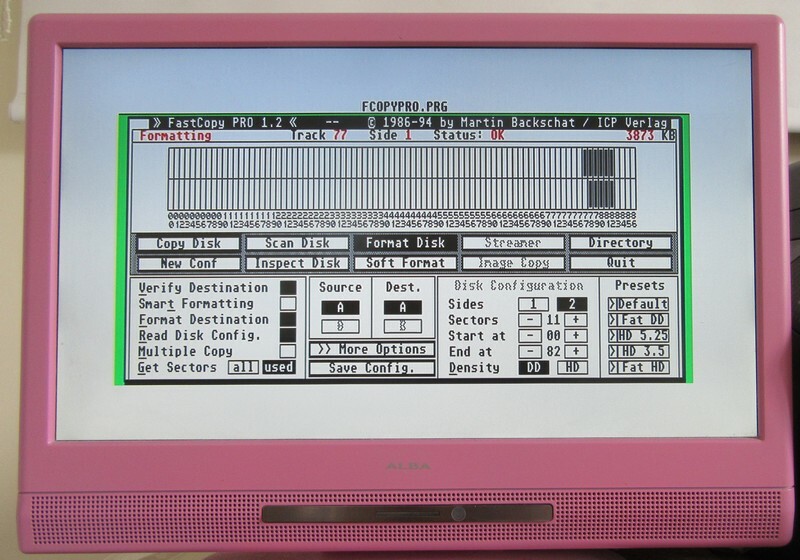 This helps keep the 5V supply to the drive stable. There is normally a small electrolytic hiding somewhere close, which will be useless after 30 years. So a 10uF ceramic will compensate for that easily. 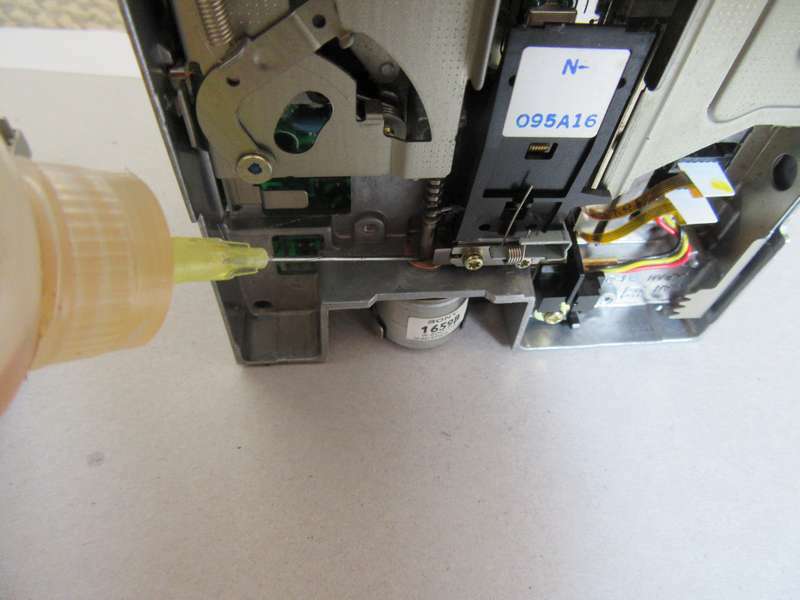 Next I use some Contact Lubricant and spray it around the white plunger on the switches. 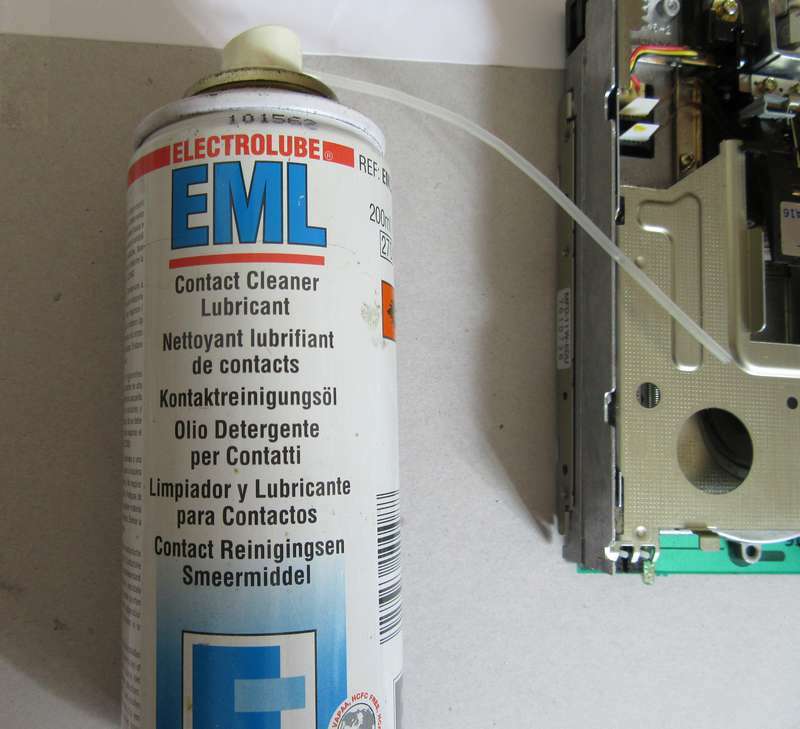 The idea is that the spray will soak into the inside of the switch and clean and lubricate the contacts. 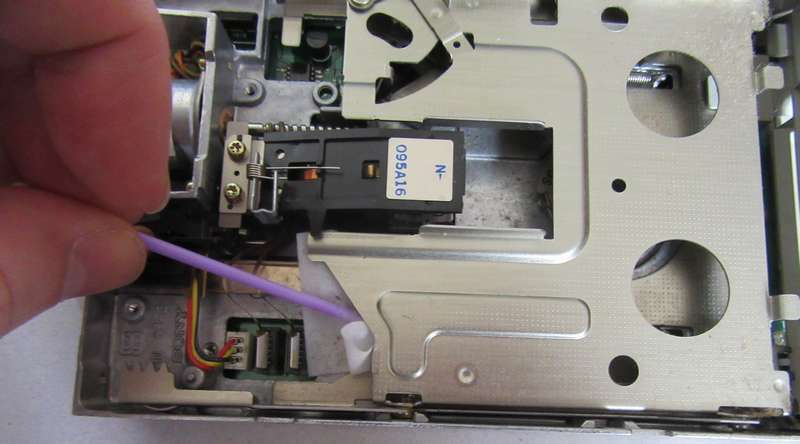 Of course bad switches on these drives is common and this is often easily solved with such sprays. 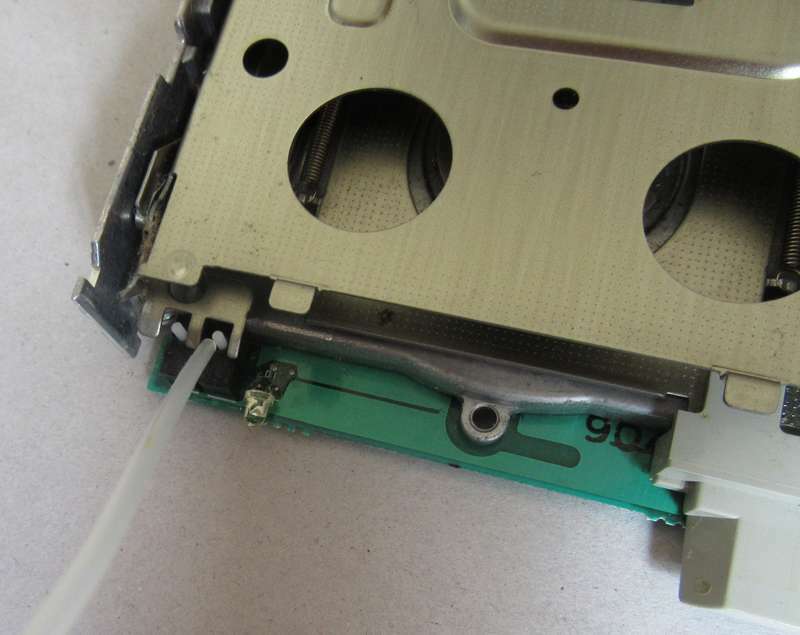 Clip back together and pray to your favorite god that it still works.. or if it didn't work before, that it now works. If a god isn't available, then a voodoo dance will suffice (video evidence required). I normally try several formats to make sure things are happy. 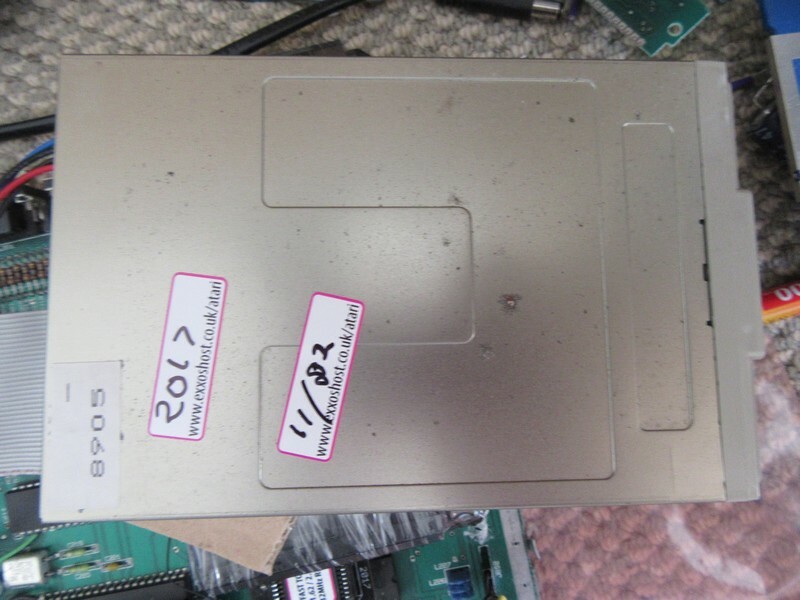 I also find out the max format capacity (it varys on brands/models of drives) and I write it on the top for future reference. If it does not work, then relocated to the nearest dustbin. 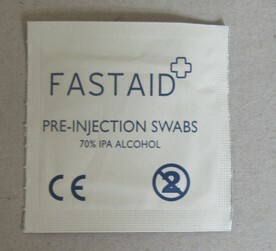 Oh, these are the IPA swab wipe things I use a lot..